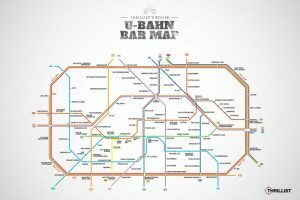 Berlin is pretty cheap when it comes to beer but I’ve noticed that Späti prices can vary wildly so I came up with Wegbier – Berlin’s Bargain Beer Map to keep track of the best value options. One of the reasons I fell in love with Berlin was the freedom to drink a beer as I wandered the streets during my first summer visit. Spätis (short for Spätkauf – literally translated: late buy) are part of the fabric of Berlin and one of the many things that make the city so magical. More than just a shop, many have tables and benches where locals meet for a Feierabendbier – an after work drink. Spätis are part of the lifeblood of the Kiez (neighbourhood) and each has its own personality. As I mentioned earlier, beer prices in Berlin are generally good but I always feel a frisson of excitement if I manage to get a Berliner Kindl for 1€ or less. I’ve noticed how much prices vary though; some U-Bahn station kiosks charge as much as 1,90€ for the same beer. Paying over the odds takes the edge off my enjoyment so I started taking note of the Spätis where I’ve bagged a bargain. Wegbier is one of my favourite German words. Made up of the German words for ‘way’ (Weg) and ‘beer’ (Bier), a Wegbier is a beer to be drunk on the go. That could be on the way to the pub, on the way home from a party or, as is often the case for me, while pounding the pavements of Berlin on a hot day, hoping to uncover more of the city’s secrets. 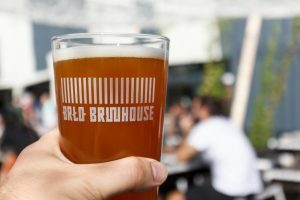 Wegbier is my second favourite beer after Freibier – free beer – a combination of both is the stuff that dreams are made of. 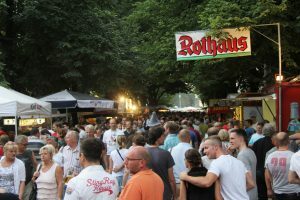 The beer bottles on the map indicate Spätis, supermarkets or bottle shops where you can get a half-litre bottle of Berliner Kindl Jubiläums Pilsener for 1€ or less. In order to qualify the beer has to be cold. New locations will get added as and when I find somewhere that fits the bill. 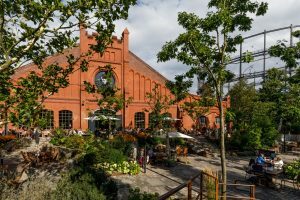 Berliner Kindl is a Berlin brewery with a long history stretching back to 1872. The Jubiläums Pilsener or ‘Jubi’ was introduced to celebrate Berlin’s 750th birthday in 1987. I had to choose one beer to make comparisons simple and it’s my go to Wegbier when I’m out and about. If you know of a Späti, supermarket or bottle shop in Berlin that sells cold Berliner Kindl for 1€ or less please let me know in the comments so that I can add it to Wegbier – Berlin’s Bargain Beer Map.